Wire clips keep tangled wires and cords organized. Use for office equipment, computer components, entertainment systems, lighting fixtures and more. Lead cords at any angle and around corners. 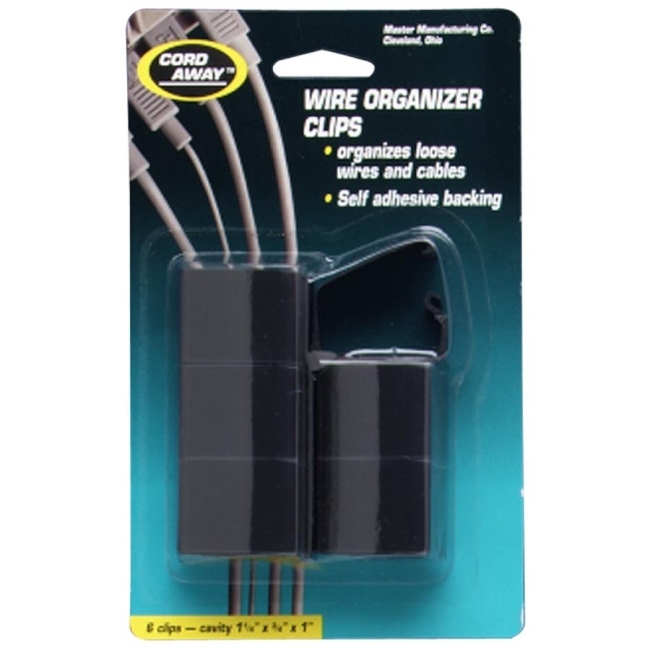 Wire clips help control the flow of wires from work place areas to power sources. Position wire clips using self-adhesive backing.